Born on this day 63 years ago, Bill Gates is the man of many talents. A brilliant coder, a founder of a giant tech company, and a generous philanthropist, he excels in everything he puts his mind to. Let’s revisit why the founder of Microsoft is so great. 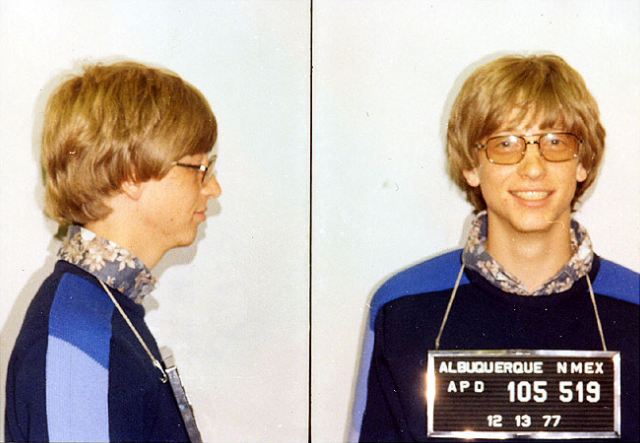 Gates started coding while still in his teens. Using a General Electric computer at school he created his first computer program. Besides, Gates was entrusted with writing the school's scheduling computer program. He made changes to the code to end up in classes with a "disproportionate number of interesting girls." Also, his SAT results were near-perfect — he scored 1590 out of 1600. 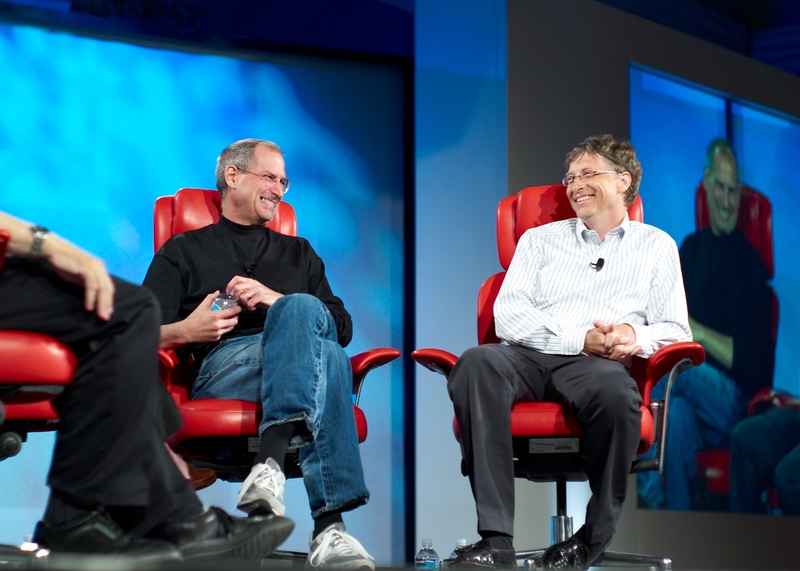 Gates was a college dropout, which seems to be a common trend among tech entrepreneurs. Once a Harvard student, he left the university in 1977 and fully devoted himself to Microsoft. The Harvard Crimson newspaper would later name Gates the university’s “most successful dropout.” Also, in 1975 and 1977, Gates was arrested for speeding. Back in 1975, Gates called the maker of the world’s first personal computer MITS. He offered to develop software for the MITS Altair, which MITS bought for $3,000 plus royalties. By the age of 20, Gates and his school friend Paul Allen formed Microsoft, which they were calling “Micro-Soft” at the time, to sell their product. In 1976, they registered the trademark. In 1987, soon after Microsoft went public, 31-year-old Gates became the world’s youngest billionaire. Eight years later, with a fortune of $12.9 billion, he became the world’s richest man, according to NPR — the title he held on and off for years. Until 1997, when his net worth already amounted to $36 billion, Bill Gates used to fly coach. Then he switched to a plane that he calls his "big splurge." Back in 2012, he stated he mostly spent money on DVDs, takeaway burgers, and books — Gates reads 50 of them a year. Competition between Microsoft and “Apple Computer” began in the early 1980s and relations between the two companies had been declining ever since. However, when Apple found itself on the brink of bankruptcy in 1997, Steve ￼￼￼￼￼￼￼Jobs offered Gates a potential deal: Microsoft would invest in Apple in return for settling some long-running legal disputes. Gates accepted the offer and at the summer’s Macworld Expo in Boston, Gates announced the deal. Gates once said he loved to spend his leisure time playing tennis and bridge, reading, or taking his children to strange places “like power plants, garbage dumps, the Large Hadron Collider, Antarctica, missile Silos (Arizona).” Besides, in 1994 he bought the Codex Leicester, a collection of writings by Leonardo da Vinci for $30.8 million. He also has a collection of Porsche cars, the gem of it being Porsche 959. Together with his wife, he launched the Bill & Melinda Gates Foundation in 2000. Since then he donated $50 billion of his fortune to charity, according to CNBC. Each year the foundation spends more money on global health than the UN’s World Health Organization. Bill & Melinda Gates Foundation helped to save six million lives with vaccines and healthcare improvements. Besides, Bill Gates and the Rockefeller Foundation along with other prominent sponsors funded the Svalbard Global Seed Vault located on the Norwegian island of Spitsbergen. The goal of this venture is to conserve crop diversity for the future. Apart from that, in 2010 Bill Gates promised to give half of his fortune to philanthropy and signed the "Giving Pledge." Since then, over 150 signers have followed the example, including Elon Musk, Mark Zuckerberg and Michael Bloomberg. "Leaving kids massive amounts of money is not a favor to them" — this is the advice Bill Gates took from Warren Buffet and he lives by it. His three children — Jennifer, Rory, and Phoebe — will only get $10 million each, which is only a fraction of his $89 billion fortune. Bill Gates once said that Weezer was his favorite band. He also named U2 among his favorites and added he was still "waiting for Spinal Tap to go back on tour."